A breakthrough by scientists at UC Davis may lead to a new way of fighting Pierce’s disease, a deadly grapevine illness that could threaten your favourite California wine and costs the industry $100m annually. Researchers discovered an enzyme, or ‘trigger’, that appears to enable Pierce’s disease to spread throughout a grapevine plant. It is a potentially crucial finding that changes the way wine and plant scientists understand Pierce’s disease, which comes from a bacteria carried by the glassy-winged sharpshooter insect. ‘We anticipate that this discovery could open new ways to think about dealing with Pierce’s disease,’ said Abhaya Dandekar, professor of plant sciences at UC Davis and a lead author on the study. 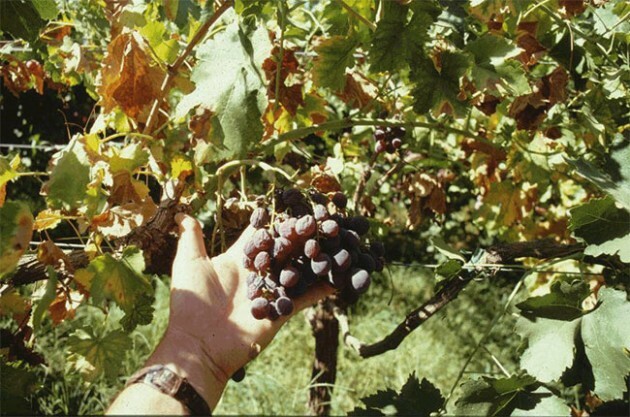 There is no cure or treatment for the vine disease other than to prevent infection by targeting the insects known to carry the illness from one vineyard to another. Pierce’s disease costs the California wine industry an estimated $100m annually, according to UC Davis. Winemakers in Europe will also welcome the new research, after insects known to spread the disease were found on French soil last year…..